It’s about time Orange County had its own real market and what better place than in the heart of Orange County: Downtown Santa Ana. Consisting of a diverse mix of trendy restaurants, art galleries, craft cocktail bars and a revitalized theater, Downtown Santa Ana has positioned itself as Orange County’s true ‘Downtown’. As Downtown Santa Ana is quickly becoming a central city hub, it makes sense to have a central market. With this in mind, the redevelopers of the area are planning to create a large market space to be built over the next year or so. Set to open in early 2014, East End Partners are looking to turn the area along East Fourth Street, formerly called the Fiesta Marketplace, into an open food market (they’re still working out a catchy name for it). The idea is to have a dozen small-scale restaurants, similar to ‘fondas’ found in a Mexican mercado. There will be specialty kitchens, like a gluten-free kitchen and a confectionery kitchen, for smaller-scale projects. These kitchens would act as incubators for people whose business models are too large for the cottage food law but too small for traditional commercial kitchens. The market part will be created to emphasize local artisans. It will even have it’s own butcher shop run by Michael Puglisi, who rose from in-house butcher to sous chef at Bouchon in Beverly Hills. Much of the food for sale will come from the commercial kitchens and include a demo space as well. We are excited to support the growth of Downtown Santa Ana and look forward to what this Food Market has in store come 2014! Our Client, Downtown Inc., was featured on the front page of this week’s Orange County Business Journal and praised for contributing to the recent Downtown Santa Ana growth by offering workshops through the business improvement district. Within the article, reporter Kari Hamanaka captured the current and projected shifts in Downtown Santa Ana. 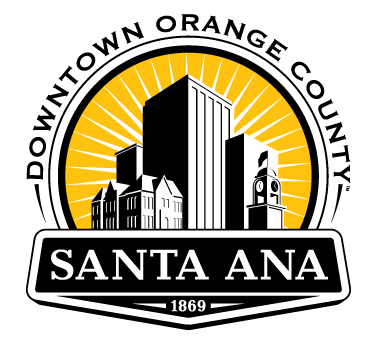 Downtown Santa Ana’s new landscape, which began to take shape in 2009, is due in large part to Costa Mesa-based S & A Management LLC, a major property owner who invested $5 million in renovations along 4th Street, the heart of entertainment and retail for Downtown Santa Ana. The growth in Downtown Santa Ana has increased significantly, as 40 new businesses have opened over the last three years. This recent shift led to a nod from OC Weekly as Orange County’s Best Downtown for what the area is today: a “perfect” mix of both the old and the new. La Voz would like to specially thank journalist Kari Hamanaka for visiting Downtown Santa Ana and for her efforts to shed light on this important Orange County community while portraying the multifaceted landscape and vibrancy of the area.